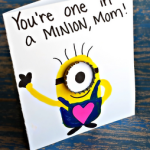 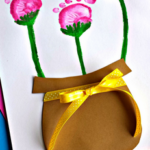 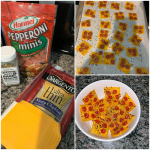 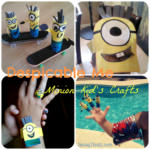 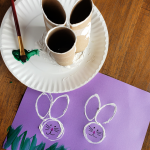 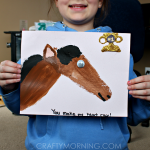 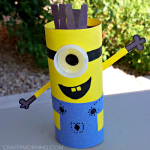 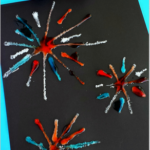 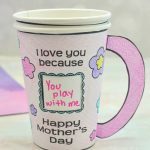 This minion craft is inspired by the one I found on Facebook, thanks to Cassie Elizabeth for letting me share! 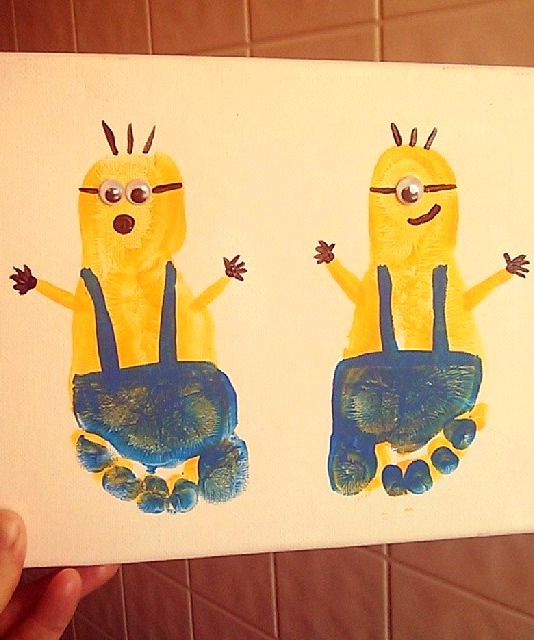 Those kids obviously had smaller feet, so cute! 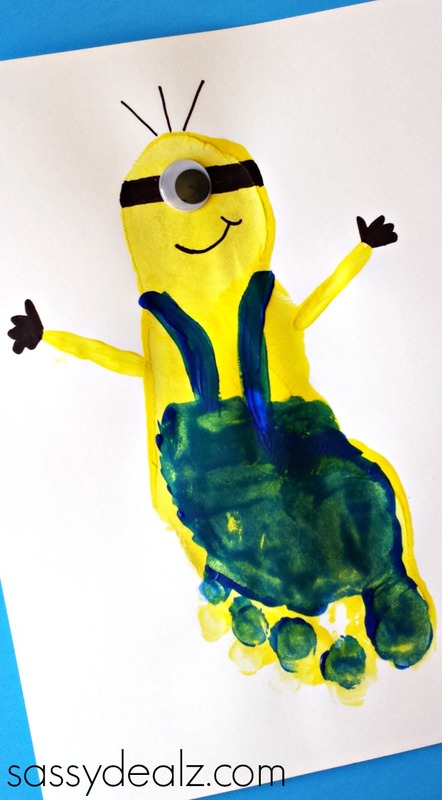 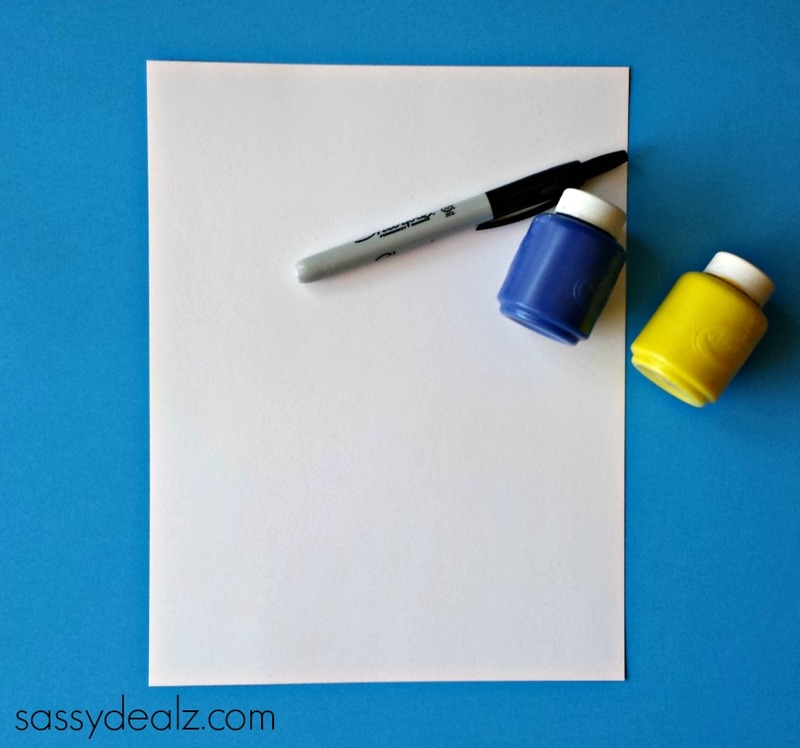 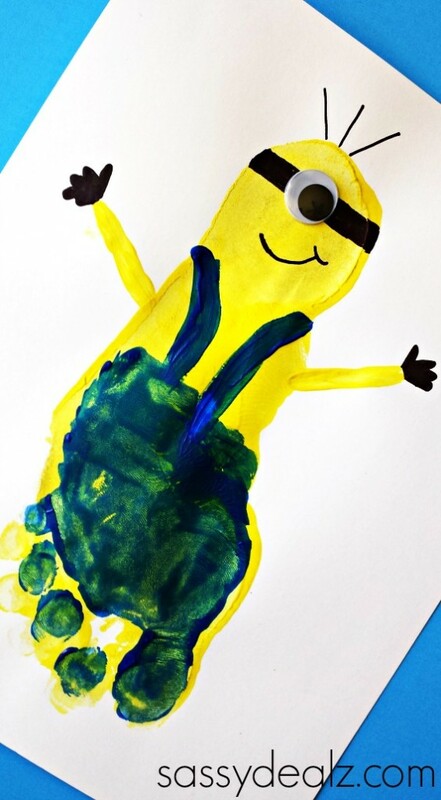 You will need a white piece of paper, yellow/blue washable paint, a black sharpie, glue and googly eyes to make some minions! 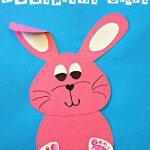 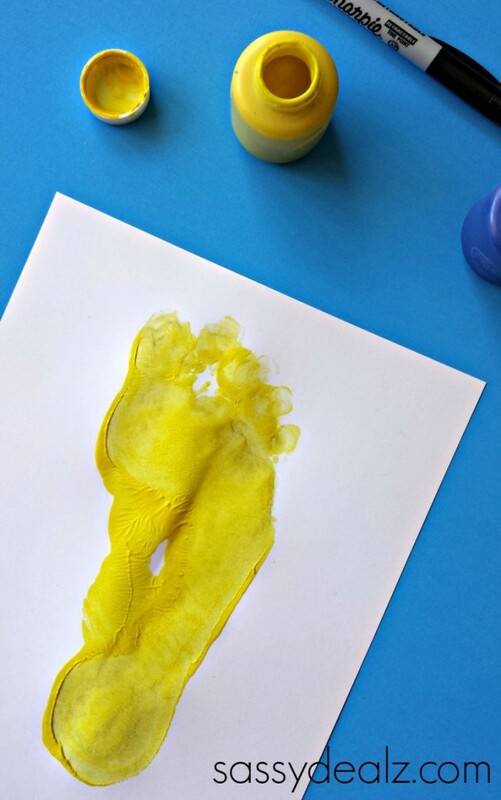 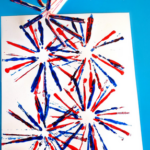 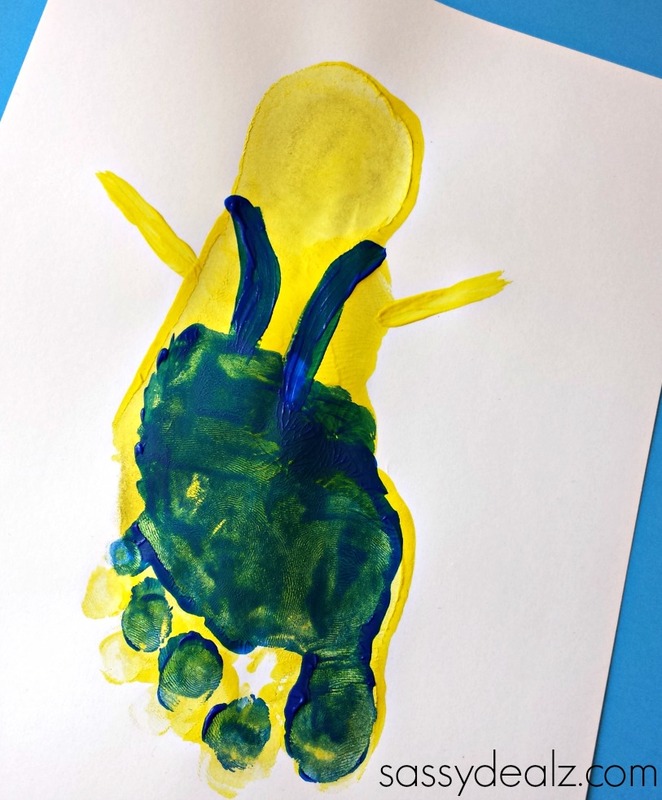 Let the yellow paint dry then afterwards paint the child’s bottom part of their foot blue. 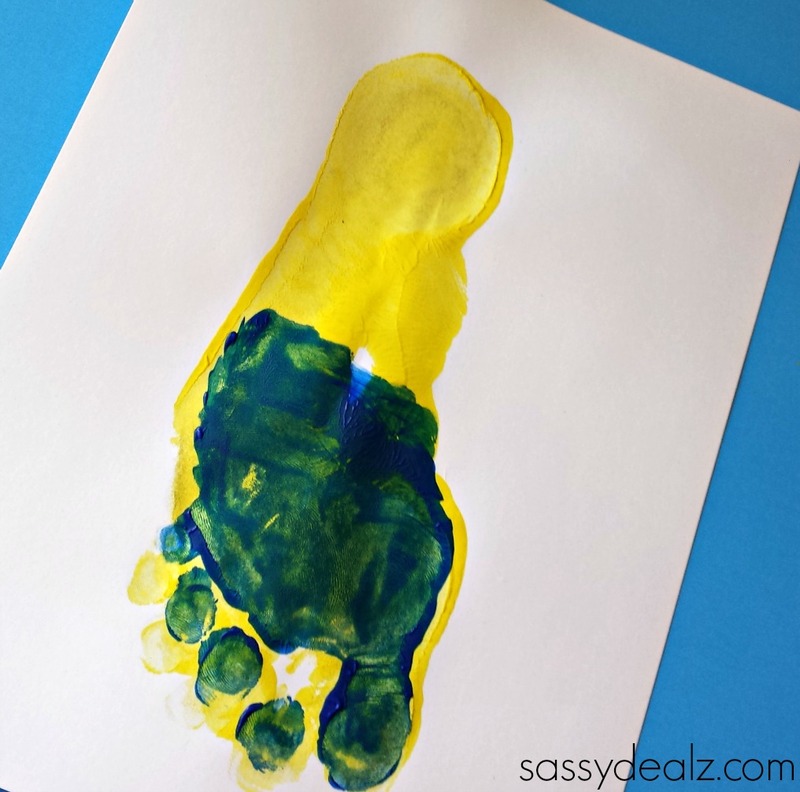 Line it up with the yellow footprint and press down again.